We're being treated to a special kind performance from a tight-knit group of friends. Friends that have known each other for decades, playing in bands that shaped the Paisley Underground scene in Los Angeles; The Bangles, The Three O'Clock, The Dream Syndicate, and Rain Parade all played together, grew together, rooted for one another, and built not just a musical scene, but, in the eyes of some members, a movement. Today, we're hearing the music of those bands, but I promised a special twist. These friends have reunited to cover each other's songs. The project is called 3 x 4. That's three covers by four different bands. Get it? And while it was originally released in a limited edition for the Black Friday Record Store Day, it comes out everywhere on Feb. 22. 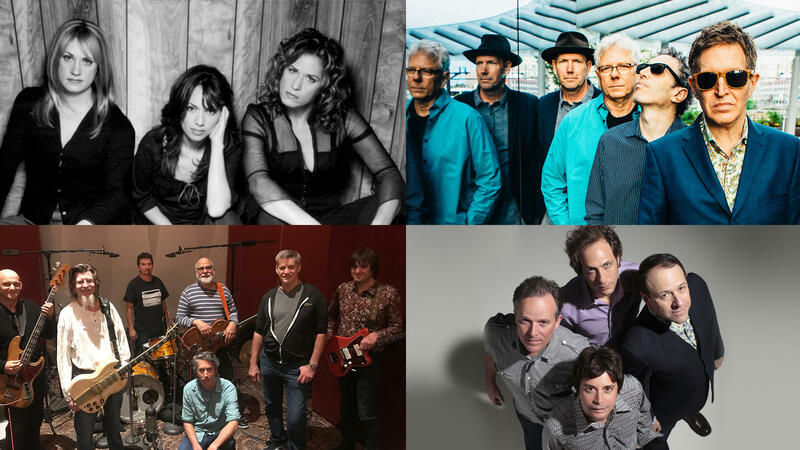 But you'll get a sneak peek of recorded performances for World Cafe and Steve Wynn (Dream Syndicate), Danny Benair (The Three O'Clock) Vicki Peterson (The Bangles) will talk lovingly about the Paisley Underground. First, we start off with "Talking in My Sleep," originally performed by Rain Parade and now covered live by The Bangles. That and more in the player.